Monday was supposed to be a quiet day at work, one of those days where both my boss and The Big Boss were out of town, and even though there was work to do, the pace was supposed to be slower. For some reason, though, it just didn’t work out that way. From the moment I walked into the office, the emails were flying and the phone was ringing. Much of work revolved around preparing for next week, which is when a big project of mine is due. However, since it’s still a whole week away, I wrongly thought that it would be a less chaotic preparation. As if that wasn’t enough to leave my head spinning, I finished the day with a doctor’s appointment for my hip. Long-time readers may remember that I started running about two years ago, and a year ago, I ran my first half marathon. Since then, running just became part of my life, like drinking wine. However, I developed hip pain at the beginning of this year. Well, months of anti-inflammatories, physical therapy, and a second opinion later, the doctor told me on Monday that I have a muscle tear. I’d been trying to avoid a cortisone shot in the hope that I would heal on my own, but that just wasn’t happening. So, Monday evening, I had the shot. By the time I got home Monday, I was exhausted. Between work, the doctor, and the shot, I just wanted to lay on the couch and relax. So, Hubby made dinner while I had some wine. 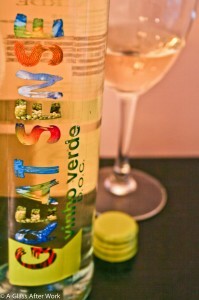 The 2010 Great Sense Vinho Verde is from Portugal and is made with 40% Arinto, 30% Loureiro, and 30% Trajadura grapes. The wine had a medium yellow color. On the nose, there were limes, granny smith apples, and a touch of honeysuckle. In the mouth, there were limes, granny smith apples, pineapples, and hints of chalk dust, parsley, and honeysuckle. The wine had a light body, bright acidity, and the slightest touch of sweetness on the finish. Is this worth a glass after work? Definitely! If you see this wine in the store, grab it; you won’t be disappointed. At $6, this one has one of the best quality:price ratios have seen in a long time. It’s a solidly enjoyable wine with something a little different. It’s the perfect wine to take on a picnic and has a low alcohol content (9.5% abv), so it’s not going to unknowingly catch up with you as you sip away. I paired this with lobster cakes and steamed green beans, which worked well, although I think the wine would be better with a lighter fish or with a salad. All in all, though, it was exactly what I needed at the end of a busy day. 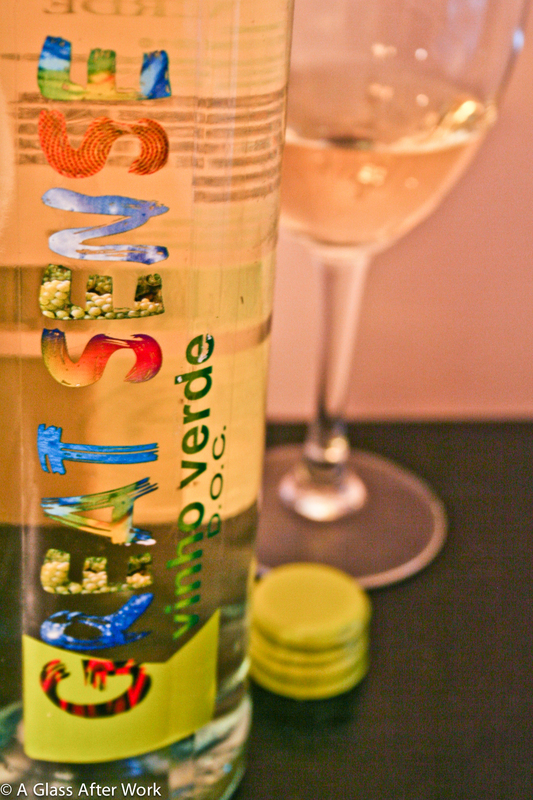 Question of the Day: Vinho Verde seems to be showing up more and more in my local wine store. Have you noticed the same thing? And, have you tried any ones recently that you’ve enjoyed?